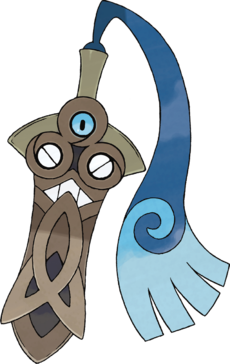 "Honedge comes into being when a departed spirit inhabits a sword that once belonged to humans. It can use the blue cloth attached to its hilt as nimbly as an arm. If you were to carelessly take this blade in hand, you may find that blue cloth wrapping around you...draining the energy from your body!" Now that kind of reminds me of Banette, which is a doll that held a grudge against the child who threw it away and is determined to seek revenge. I actually kind of like it. The Steel/Ghost combination definitely has some strategic advantages, plus it looks pretty awesome. What do you guys think about it? Really cool idea? Or perhaps Pokémon is losing its edge (no pun intended)? That's right, folks. I recently found out that Pokémon will be shutting down the Global Link for Gen V in order to make way for X and Y. A date has been anounced as well: January 14, 2014. It will be a slow process, as they will start shutting parts down begining in October of this year. What will you miss about the Global Link, and what will you do once it's gone? Well, X and Y news have been a bit on the down-low, so I figured I might post a little story about something that happened to me a while ago. And how it's an unfortunate misadventure. Right. So I'm walking around in SoulSilver and decided to take a look at my PokéGear to see if there was any outbreaks of any Pokémon that I haven't caught yet. Lo and behold, it just so happened that there was a Chancey outbreak at Route 15. This was perfect. Chancy itself is super-rare out in the wild, so the outbreak will just make it easier to catch. So off I go, flying over to Fuchisa and walking my way over to Route 15 to get myslef a Chancy. Right then, I was feeling pretty good about what could come. I'd go into the grass, grab myslf a Chancy, and get out. Except it didn't go smoothly. At all. I was walking around in all the grassy patches in Route 15 for at half an hour. True, I should have checked back to see if the outbreak moved or even stopped, but I was hell bent on getting me a Chancy. So I kept on running around the tall grass, hoping and wishing for a Chancy to show its extremely elusive face. But instead of one immensly rare creature to appear, another decided to pop up. That's right. Instead of finding the Chancy that I was out to get, I managed to somehow discover my first wild shiny. And it was a badass Noctowl. I managed to capture it, but I thought that finding the shiny was the game's way of saying "Yeah, good luck finding a Chancy. lol." I kept the Noctowl in my party for a while. That is, until my friend offered a Leafeon for it. And I'm a sucker for eeveelutions, especially Leafeon. So yeah. That's my little unfortunate story. I did eventually catch a Chancy during another outbreak on Route 14. This "Pokémon Misadventures" thing may or may not become a series. So far, it's doubtful. Myabe. Just when you thought it was over, even more X and Y Pokémon have been released, as well as some NPCs and a Gym Leader. All of it can be viewed on this new gameplay video here, but I'll summerise the Pokémon and the Gym Leader for you. Right. So first up on our plate (not that I'm going in any order) is Litleo. 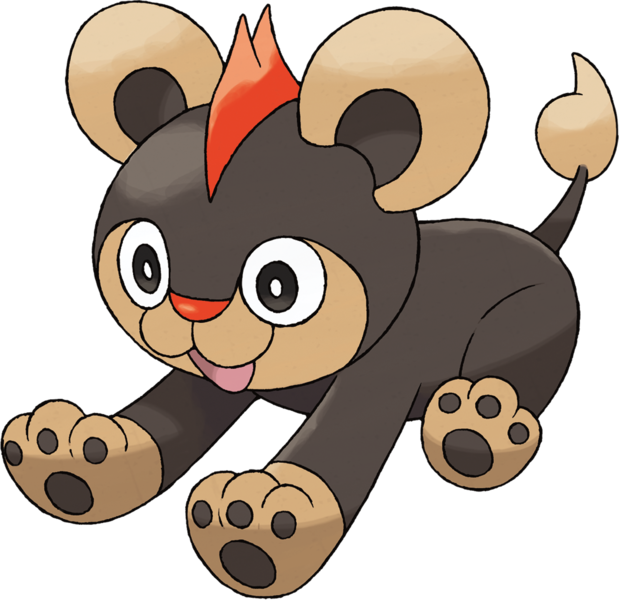 It's similar to Shinx in the fact that it looks like a lion cub, but that's where the resembalence ends. It's dark brown with tan on its paws, ears, and on a little puff in its tail. It also has a little red mowhawk. As for type, it's a Fire / Normal. They seem to be throwing that Normal typing on a lot of things lately, but no matter. According to Pokemon's official site, "in battle, its red bang radiates heat, and when up against a strong opponent, the temperature increased. When wild Litleo grow stronger, they leave the pack and begin to live alone." Now, it's too early to tell if this little guy is going to be a key part of my party or not. I'd like to see the evolution of it first. Moving on, we have Flabébé. 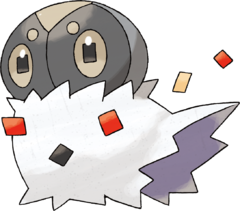 Yes, the accents are officially there, making this the first Pokémon to have accents in its name. A bit odd of an achievement, but no matter. Another thing about Flabébé is another pure Fariy type. Its a lot harder to describe than Litleo, so I'll let the picture speek for me. 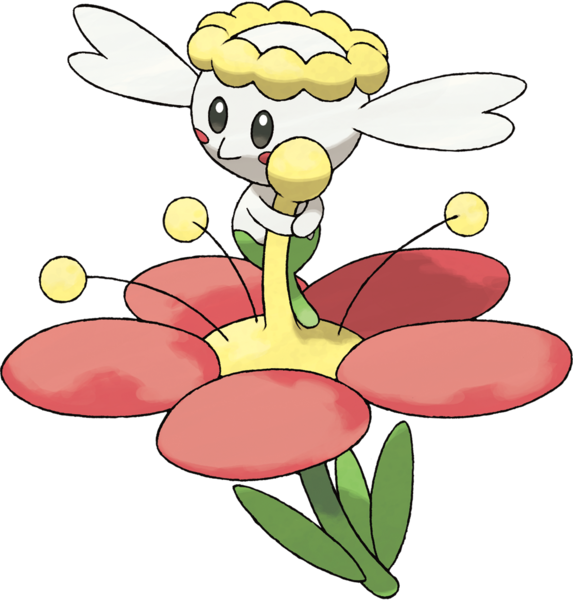 Again, The Pokémon Company has released a little bit about it: "Another newly discovered Fairy-type Pokémon, Flabébé clings to a flower early on, and then cares for it for its entire life. Because of this, Flabébé may be found holding flowers of different colors." The design is quite interesting, but I don't really see myself using it. If I were to use a Fairy type, I would probably end up using Sylveon or Gardevoir. Next up on our list are Scatterbug and Spewpa. They are the pre-evolutions of the new butterfly Pokémon, Vivillion. Scatterbug is a grey catterpiller-like Pokémon with three little antena-like things on it. It also has a little white fluff around its neck. 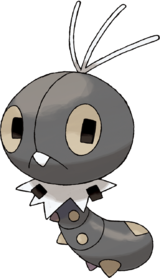 The Pokémon Company says that "The Bug-type Scatterbug resides mostly in forests and wild plains. [It] uses the fur around its neck to control its body temperature." Now Spewpa looks pretty cool. It has a grey head sticking out of a white, fluffy coat. That coat has little squares attached to it. The Pokémon Company says a few things about this one as well. "Spewpa gains a stiff carapace once it evolves from Scatterbug, so less forceful attacks will hardly make a scratch." This is going to be my favorite bug-type line. I still don't know anything about the stats, but who cares? All three of them look awesome. And now for the first Gym Leader that has been released: Viola. She seemes to be some sort of photographer with a thing for Bug-types. Interestingly enough, this makes her the first female Bug-type gym leader. I really don't have that much more to say about that. As far as the actual gym goes, you get to walk around on spider webs. Doesn't that sound fun? Anyway, here's a picture of Viola. Also, for the first time, more than three people have been given the Pokédex. In fact, you got five people to deal with. Well, maybe not battling all of them. The only one that has a mention of battling is your next door neighbor, which can be either Serena or Calem. It all depends on which gender you choose to play as. Anyway, the others names are as follows: Shauna, the teeny-bopper; Tierno, the fluffy one with the strangest haircut I've ever seen; and Trevor, the Pokédex geek. They all have their own little descriptions and pictures that The Pokémon Company gives them, but I've been working on this for far too long to bother anymore. You could find that stuff out by clicking here. Alright. I'm done for today. Chew on that for a while. Hope that will hold you over. - When the player start up the games, they will be presented with seven language options - English, French, German, Spanish, Italian, Japanese and Korean. These are the languages previous games in the series have been released in. - The game features a new communication feature which takes place on the lower screen of the Nintendo 3DS - the PSS (Player Search System), which allows players to search for others locally or globally to battle and trade. It will recognise other players playing Pokémon X or Pokémon Y and if you interact with anyone, they will become an "Acquaintance". Afterwards, you will be able to register them as a friend (limited to 100). This is integrated with your 3DS Friend List, so anyone who is registered as a friend on your friend list will automatically be registered onto the PSS. - A new type of battle has been announced, called a "Horde" - these can be as much as 5-on-1 battles! - Another new type of battle was introduced - "Sky Battles". Only Flying-type Pokémon (and a few exceptions, such as Pokémon with the ability Levitate) can enter these battles. - The introduction of the new Fairy-type was done primarily to balance out the Dragon-type. - At the moment, there are no plans for DLC but the option is being looked into. Backwards compatibility is also being worked on. - Different areas will feature different modes of transportation, such as the roller blades, Pokémon riding and rail grinding we've seen so far. Riding Pokémon will help you traverse various terrains, such as riding a Rhyhorn across rocky areas. There was also another gameplay video released, which you could watch if you click this little link here. And there was a mention of a price: about $30 USD. So yeah. Have fun with this new info. What do you all think of X and Y so far? Feel free to post it in the comments. That's right, folks. A new type has been anounced: the fairy type. According to Nintendo's video, the Fairy type includes the new Eeveelution, Sylveon, as well as Jigglypuff, Gardevoir, and for some reason Marill. With moves such as Moonblast, it's super effective against Dragon. Also released is something called Pokemon-amie. Apparently, you can now pet, feed, and play with your Pokémon to raise friendship. Which is pretty freaking awesome. They also said an official release date: October 12. So set your calanders and start saving up! Here's a link to the trailer in case you missed the Nintendo Direct today. And that's not all. Two more new Pokémon have been released! Vivillon, a butterfly-looking bug/flying, and Noivern, an interesting flying/dragon.